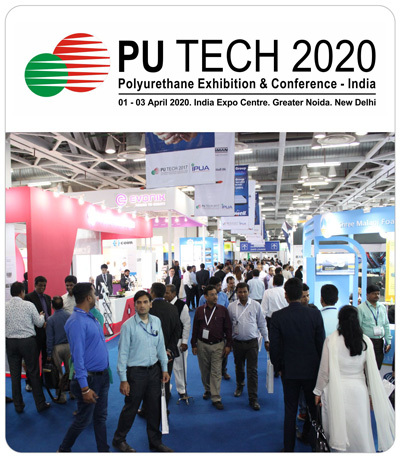 The term "Indian Polyurethane Association" or "IPUA" or "us" or "we" or "our" refers to The ndian Polyurethane Association, organized and existing under the Societies Act, 1860, and having its registered office at. No.228, Okhla Industrial Estate Phase III, Near Modi Mills Flyover, New Delhi - 110020 "You" or "Your" or "Yourself" refers to the Members, viewers and other users accessing this Website ("Users"). The Members, Visitors must register to complete the registration form on the Become a Member page in order to use the information and this Website. The Members are required to register and create an "Account" with User ID and Password for availing the Services. The Members undertakes that any registration information provided by them shall always be accurate, correct and complete by registering for an account through this Website, You represent and warrant that You have attained the age of majority as per the applicable law to which you are subjected. Registration: Members agree to (a) maintain the security of their passwords and identification, (c) promptly update the email address listed in connection with their account to keep it accurate so that we can contact them, and (d) be fully responsible for all uses of their Account. Members must not set up an account on behalf of another individual or entity unless they are authorized to do so. Those polyurethane industry members, who are desirous of sharing their business details on this Website will be required to submit to IPUA the requisite details ("Details"), as may be required by IPUA, from time to time. IPUA may, but does not have any obligation to, authenticate the Details. Members understand that, the Members shall not have right to post or amend the Details directly, on this Website. You acknowledge that IPUA does not make any representations or warranties about the material, data, and information, such as data files, text, facts and figures, computer software, code, audio files or other sounds, photographs, videos, or other images including the Details (collectively, the ;Content") through your use of this Website. Under no circumstances, IPUA is liable in any way for any Content, including, but not limited to: any infringing Content, any errors or omissions in Content, or for any loss or damage of any kind incurred as a result of the use of any Content posted, transmitted, linked from, or otherwise accessible through or made available via this Website. You agree that You are solely responsible for your use or the reuse of Content made available through this Website. You represent, warrant, and agree that no Content/Details shared by You with IPUA ("Your Content"), violates or infringes upon the rights of any third party, including copyright, trademark, privacy, publicity, or other personal or proprietary rights, breaches or conflicts with any obligation, such as a confidentiality obligation, or contains libelous, defamatory, or otherwise unlawful material. You grant us a personal, limited, revocable, non-transferable and nonexclusive right to use the Contents and Details including but not limited to trademarks, service marks, logos etc. submitted by You for providing the Services, You also grant us the right (i) to display your Contents and Details on this Website, and (ii) promote or distribute it for the access of the Members. This Website may contain links to other websites owned and operated by third parties who are not related to this Website ("Linked Websites"). The Linked Websites are not under the control of IPUA and IPUA is not responsible for the content of any Linked Websites or any hyperlink contained in a Linked Website and makes no representation or warranty with respect to the content of any such third party sites. IPUA provides these links to You for convenience only and the inclusion of any link does not imply any endorsement of the Linked Website by IPUA. Your link to any such Linked Website is entirely at your own risk. IPUA is not a party to any transaction between You and a Linked Website. Your use of a Linked Website is subject to the terms and conditions of that site. This Website may also contain third party advertisements including the advertisements of the Service Providers, if any. The display of such advertisements does not in any way imply an endorsement or recommendation by or of the relevant advertiser, its products or services. You are referred to the relevant advertiser for all information regarding the advertisement and its products and/or services. IPUA accepts no responsibility for any interaction between You and the relevant third party and is released from any liability arising out of or in any way connected with such interaction. Violating laws and rights: You may not (a) use this Website for any illegal purpose or in violation of any local, state, national, or international laws, (b) violate or encourage others to violate any right of or obligation to a third party, including but not limited to, by infringing, misappropriating, or violating intellectual property, confidentiality, or privacy rights. Solicitation: You may not use this Website or any information provided through this Website for the transmission of advertising or promotional materials, including junk mail, spam, chain letters, or any other form of unsolicited or unwelcome solicitation. Disruption: You may not use this Website in any manner that could disable, overburden, damage,or impair this Website, or interfere with any other party's use and enjoyment of this Website; including by (a) uploading or otherwise disseminating any virus, adware, spyware, worm or other malicious code, or (b) interfering with or disrupting any network, equipment, or server connected to or used to provide any of the Services on this Website, or violating any regulation, policy, or procedure of any network, equipment, or server. Harming others: You may not share or transmit Contents or Details that are harmful, offensive, obscene, abusive, invasive of privacy, defamatory, hateful or otherwise discriminatory, false or misleading, or which incite an illegal act; You may not intimidate or harass another through this Website. Impersonation or unauthorized access: You may not impersonate another person or entity, or misrepresent your affiliation with a person or entity when using this Website; You may not use or attempt to use another's account or personal information; and, You may not attempt to gain unauthorized access to this Website, or the computer systems or networks connected to this Website, through hacking, password mining or any other means. You may get access to site message boards, forums, blogs, e-mail and other features ("Ancillary Services") that are offered from time to time on this Website and may be operated by us or by a third party on our behalf. You shall not (nor cause any third party to) use these Ancillary Services to perform any illegal activities (including without limitation defaming, abusing, harassing, stalking, threatening, promoting racism, or otherwise violating the legal rights, such as rights of privacy, of others) or immoral activities, falsely stating or otherwise misrepresenting your affiliation with a person or entity. You shall not use the message boards and e-mail to express your concerns or differences with other Users. Members acknowledge and agree that this Website shall not be liable for your interactions with other Members on this Website. This includes, but is not limited to, payment and delivery of goods and services, if any, and any other terms, conditions, warranties or representations associated with any interaction among the Members. These dealings are solely between the concerned Members. Members agree and acknowledge that IPUA shall not be responsible or liable for any loss or damage incurred as the result of any such dealings or interactions. If there is a dispute between the Members or any third party, the Members understand that IPUA shall not be party or will be under no obligation to resolve, such dispute. Members shall indemnify, defend and hold harmless IPUA its officers, employees, agents and successors from and against any and all claims, demands and damages of every kind and/or nature, known or unknown, suspected and unsuspected, disclosed and undisclosed, arising out of or in any way related to such disputes. YOU EXPRESSLY ACKNOWLEDGE AND AGREE THAT USE OF THIS WEBSITE AND THE INFORMATION IS ENTIRELY AT YOUR OWN RISK AND THAT THIS WEBSITE AND THE INFORMATION THEREIN ARE PROVIDED ON AN "AS IS" OR "AS AVAILABLE" BASIS, WITHOUT ANY WARRANTIES OF ANY KIND. ALL EXPRESS AND IMPLIED WARRANTIES, INCLUDING, WITHOUT LIMITATION, THE WARRANTIES OF MERCHANTABILITY, FITNESS FOR A PARTICULAR PURPOSE, AND NON-INFRINGEMENT OF PROPRIETARY RIGHTS ARE EXPRESSLY DISCLAIMED TO THE FULLEST EXTENT PERMITTED BY LAW. TO THE FULLEST EXTENT PERMITTED BY LAW IPUA, ITS OFFICERS, DIRECTORS, EMPLOYEES, AND AGENTS DISCLAIM ALL WARRANTIES, EXPRESS OR IMPLIED, IN CONNECTION WITH THIS WEBSITE, THE SERVICES AND YOUR USE THEREOF. IPUA MAKES NO WARRANTIES OR REPRESENTATIONS ABOUT THE ACCURACY OR COMPLETENESS OF THE SERVICES OR THIS WEBSITE'S CONTENT OR THE DETAILS AND CONTENTS SHARED BY THE MEMBERS OR THE CONTENT OF ANY THIRD PARTY WEBSITES LINKED TO THIS WEBSITE AND ASSUMES NO LIABILITY OR RESPONSIBILITY FOR ANY (I) ERRORS, MISTAKES, OR INACCURACIES OF CONTENT, (II) PERSONAL INJURY OR ROPERTY DAMAGE, OF ANY NATURE WHATSOEVER, RESULTING FROM YOUR ACCESS TO AND USE OF THIS WEBSITE AND SERVICE, (III) ANY UNAUTHORIZED ACCESS TO OR USE OF OUR SERVERS AND/OR ANY AND ALL PERSONAL INFORMATION AND/OR FINANCIAL INFORMATION STORED THEREIN, (IV) ANY INTERRUPTION OR CESSATION OF TRANSMISSION TO OR FROM THIS WEBSITE, (IV) ANY BUGS, VIRUSES, TROJAN HORSES, OR THE LIKE WHICH MAY BE TRANSMITTED TO OR THROUGH THIS WEBSITE BY ANY THIRD PARTY, AND/OR (V) ANY ERRORS OR OMISSIONS IN ANY CONTENT OR FOR ANY LOSS OR DAMAGE OF ANY KIND INCURRED AS A RESULT OF THE USE OF ANY CONTENT POSTED, EMAILED, COMMUNICATED, TRANSMITTED, OR OTHERWISE MADE AVAILABLE VIA THIS WEBSITE OR THE SERVICE. IPUA DOES NOT WARRANT, ENDORSE, GUARANTEE, OR ASSUME RESPONSIBILITY FOR ANY PRODUCT OR SERVICE ADVERTISED OR OFFERED BY A THIRD PARTY OR THE SERVICE PROVIDER THROUGH THIS WEBSITE OR ANY LINKED WEBSITE OR FEATURED IN ANY BANNER OR OTHER ADVERTISING, AND IPUA WILL NOT BE A PARTY TO OR IN ANY WAY BE RESPONSIBLE FOR MONITORING ANY TRANSACTION BETWEEN THE MEMBERS. IN NO EVENT SHALL IPUA, ITS OFFICERS, DIRECTORS, EMPLOYEES, OR AGENTS, BE LIABLE FOR DIRECT, INDIRECT, INCIDENTAL, SPECIAL, CONSEQUENTIAL OR EXEMPLARY DAMAGES (EVEN IF IPUA HAS BEEN ADVISED OF THE POSSIBILITY OF SUCH DAMAGES), RESULTING FROM ANY ASPECT OF YOUR USE OF THIS WEBSITE OR THE INFORMATION, INCLUDING WITHOUT LIMITATION WHETHER THE DAMAGES ARISE FROM USE OR MISUSE OF THIS WEBSITE OR THE SERVICE, OR THE INTERRUPTION, SUSPENSION, MODIFICATION, ALTERATION, OR TERMINATION OF THIS WEBSITE OR THE SERVICE. SUCH LIMITATION OF LIABILITY SHALL ALSO APPLY WITH RESPECT TO DAMAGES INCURRED BY REASON OF OTHER SERVICES OR RENDERED THROUGH OR ADVERTISED IN CONNECTION WITH THIS WEBSITE OR THE SERVICES OR ANY LINKS ON THIS WEBSITE, AS WELL AS BY REASON OF ANY INFORMATION, OPINIONS OR ADVICE RECEIVED THROUGH OR ADVERTISED IN CONNECTION WITH THIS WEBSITE OR THE SERVICES OR ANY LINKS ON THIS WEBSITE. THESE LIMITATIONS SHALL APPLY TO THE FULLEST EXTENT PERMITTED BY LAW. YOU SPECIFICALLY ACKNOWLEDGE AND AGREE THAT IPUA SHALL NOT BE LIABLE FOR MEMBER DETAILS AND CONTENTS OR THE DEFAMATORY, OFFENSIVE, OR ILLEGAL CONDUCT OF ANY MEMBER OR THIRD PARTY AND THAT THE RISK OF HARM OR DAMAGE FROM THE FOREGOING RESTS ENTIRELY WITH YOU. IN ANY EVENT, THE TOTAL AGGREGATE LIABILITY OF IPUA TO YOU UNDER ANY APPLICABLE LAW WHATSOEVER FOR ALL LOSS OR DAMAGE ARISING OUT OF USE OF THE SERVICES OR ACCESS TO THIS WEBSITE SHALL BE LIMITED TO RUPEES ONE HUNDRED. THE FORGOING LIMITATIONS OF LIABILITY WILL APPLY NOTWITHSTANDING THE FAILURE OF ESSENTIAL PURPOSE OF ANY LIMITED WARRANTY OR REMEDY HEREIN. IPUA respects copyright, and we prohibit Users from submitting, uploading, posting, or otherwise transmitting any Content or Details on this Website that violates another person's proprietary rights. If You wish to terminate this Agreement, You may immediately stop accessing or using the INFORMATION this Website. Survival: The disclaimer of warranties, the limitation of liability, indemnity and the jurisdiction and applicable law provisions shall survive any such termination.